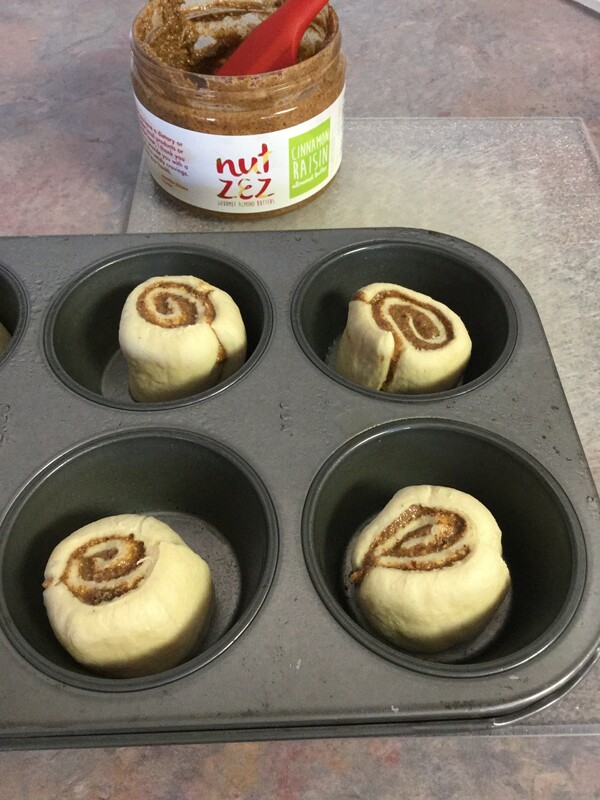 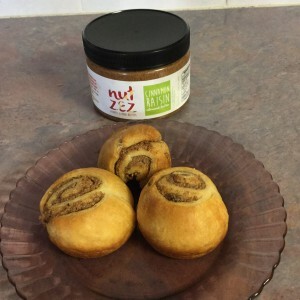 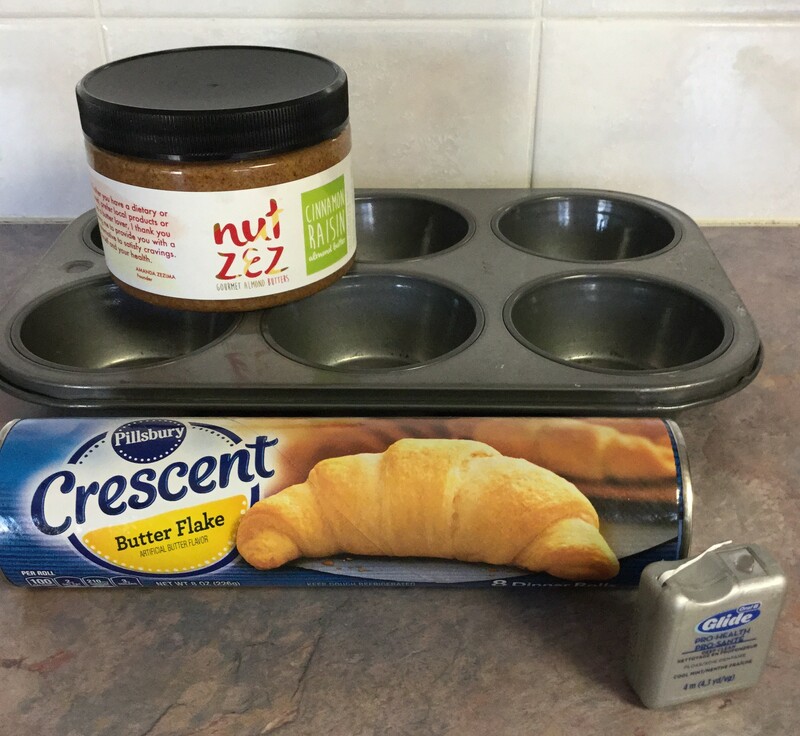 Nut Zez Cinnamon Raisin Almond Butter added to Crescent Rolls make for a guilt free , healthy snack or breakfast. This is not just a healthy snack for kids, adults will love it too ! 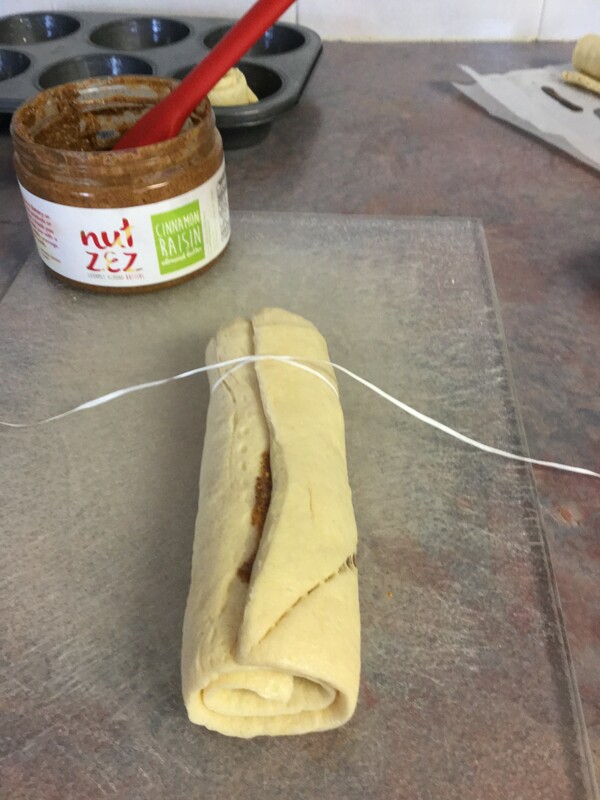 And so simple to make. 1. Roll out the crescent dough and pinch together the seams to prevent leakage. 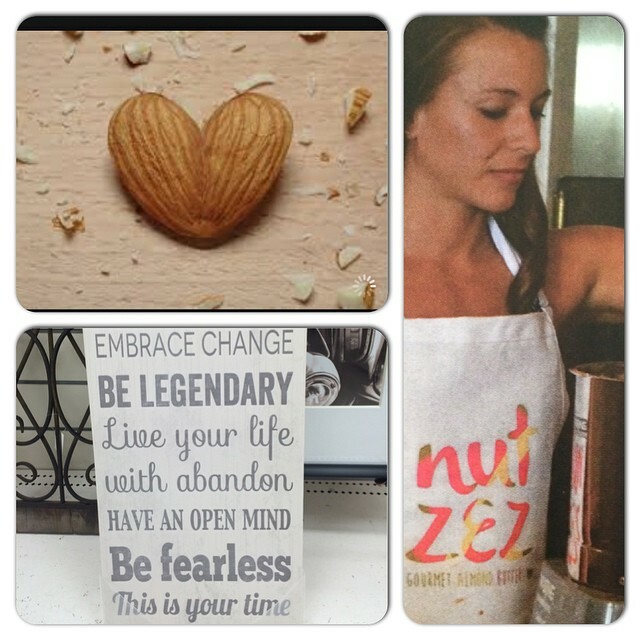 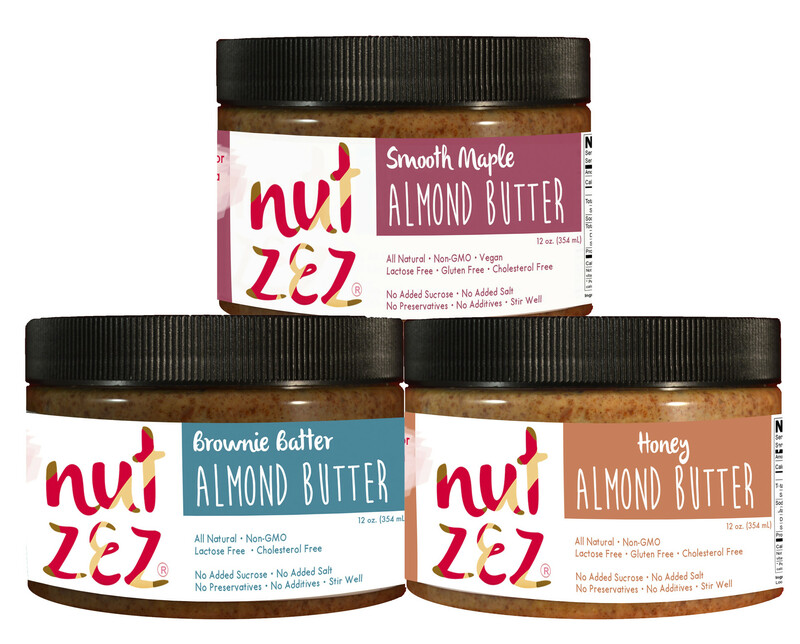 You can substitute any of your favorite flavors of Nut Zez Gourmet Almond Butters. Brownie Batter Almond Butter also worked very well. 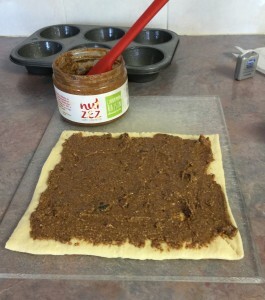 Also try our French Toast Almond Butter and the Carob Cookie Almond Butter. 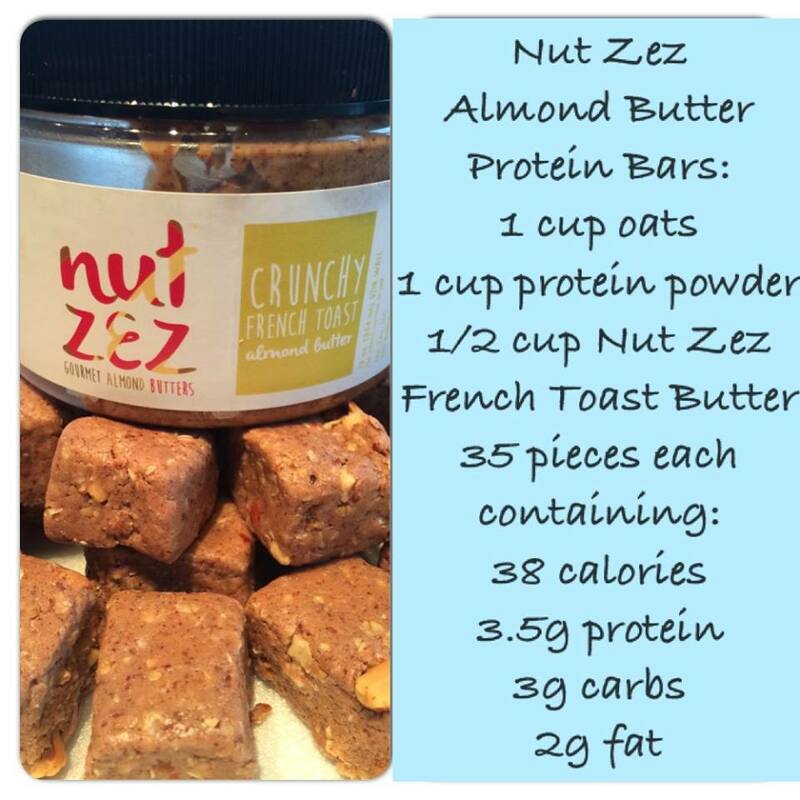 The nutritional value for Almond butter makes this a heart healthy snack choice!